Constructed with an aluminium bracket and a high quality magnet. 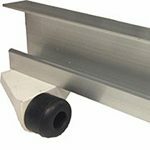 It is adjustable and supplied with a zinc striker plate. 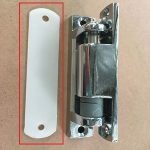 Easy to install replacement Cool-room door magnetic latch. Not Lockable – Requires an alternative method for locking if required. Also available is our Cool-room swing door seal.